Blog » The worldwide best selling and award winning baby development app and book The Wonder Weeks are launching the FIRST EVER baby group in LEEDS! 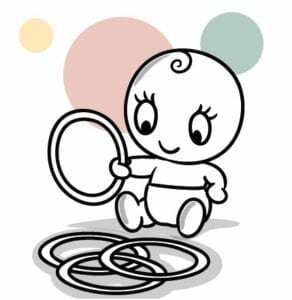 The worldwide best selling and award winning baby development app and book The Wonder Weeks are launching the FIRST EVER baby group in LEEDS! Like most first time parents, I found the arrival of my baby an amazing but at times challenging and overwhelming experience. In the first few weeks a friend told me how helpful they had found The Wonder Weeks app, after this I kept hearing friends talk about what ‘leap’ their baby was in and how they were counting the days down until their babies ‘stormy’ period ended. I wanted to know what it was all about and so bought the app and book. It was then that I found something that could explain why my happy smiling baby was suddenly really cranky and crying lots. Understanding this gave me hope that this wouldn’t last forever and soon my baby would be smiling again and showing lots of new skills! Based on 35 years of extensive research The Wonder Weeks charts the developmental changes that all babies go through during their first 20 months of life. The Wonder Weeks research shows that babies become more teary, challenging and fussy at around the same ages. These are the periods when babies are learning about themselves and the world around them and they are making amazing leaps! Whilst this development is something to celebrate, this can be upsetting for babies as they negotiate their way through this. These are what are called the stormy periods which can be really hard for parents/ carers to manage. Knowing that babies go through these changes in their development at around the same ages in their first few years of life can enable us to support our babies through these leaps and maximise their learning and development. When my friend and I had the opportunity to develop a baby group with The Wonder Weeks, we jumped at it! We have both worked therapeutically with children and parents for many years. 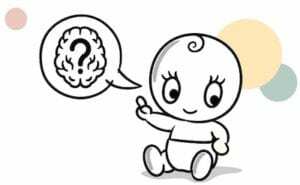 We felt that The Wonder Weeks research surrounding babies neurodevelopmental leaps combined with the focus on how to spot and manage the stormy periods associated with these leaps, would really lend itself to a baby group setting. We have been able to work with The Wonder Weeks to create a unique baby group where parents are helped to spot their babies leaps through a fun, interactive and engaging group. Through play, music and sensory stimulation, the group will help you to support and maximise your babies development. From personal experience, we knew ourselves how difficult it is to get through the stormy periods. With this in mind, we felt it was important to look at ways to support parents through the challenges of the stormy periods by incorporating mindfulness and other soothing techniques in the classes. Parents can then use these strategies at home. We hope you will join us in what we plan to be a shared, nurturing and fun space to support you in celebrating and scaffolding your babies development, whilst equipping you with strategies to manage some of the challenges you and your baby will face on her path of self discovery as she grows and develops.